It’s not often we have JobCentre Plus managers join us on the Orientation Week – they are just too busy! However, the human dynamo that is Margo – anyone who knows her will know this is true! – popped in to see Selwyn. 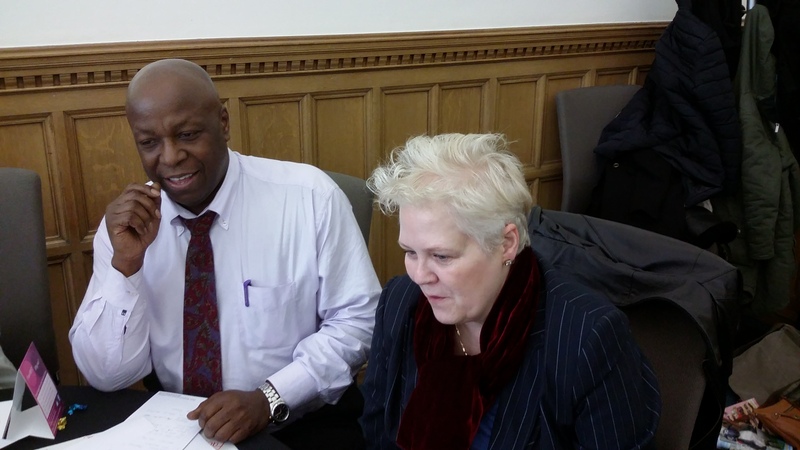 Although sandwiched between meetings, Margo made time to listen to the Social Enterprise idea Selwyn and his team – Maxine, Jessica & Daoud – were devising ready for their presentation to the panel of managers on Friday (yes, tomorrow – yikes!). Funny to see Margo looking a little nervous whilst Selwyn was smiling and relaxed! All three presentations the Growing Talent Associates are devising are brilliant, but hush hush at this stage – full details will be posted soon along with the winning idea selected by our own Dragon’s Den – The Managers!